Some 150 people gathered for a Baltimore Tribunal and Peoples Assembly on June 6 at a downtown church. The major themes were “Stop police terror” and “We need jobs and livable wages, not jails.” One section of the two-part agenda was dedicated to hearing from friends and families whose loved ones were killed by police or who have been victims of police abuse. The first session was opened by the Rev. Johnnie Golden, who welcomed everyone, and the Rev. C.D. Witherspoon, activist and president of the Greater Baltimore Chapter of the Southern Christian Leadership Conference. 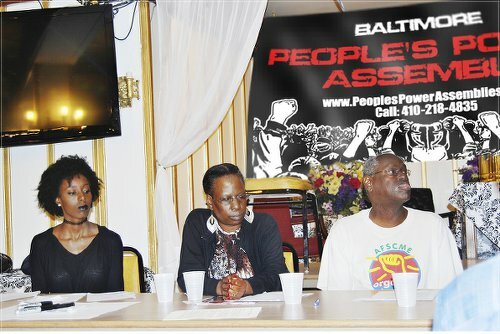 Co-chairs were Peoples Power Assembly organizers Kira Lynae and Andre Powell, who is also an American Federation of State, County and Municipal Employees delegate to the Baltimore Metropolitan AFL-CIO Council. Renee Washington, whose fiancé was beaten to death by cops in 2009, described how police violence and killings are not new in a majority Black city like Baltimore. She recounted the names of many people who were killed by police. Tawanda Jones, whose brother Tyrone West died due to police violence, spoke at the opening plenary. She has fought a heroic battle and led weekly “West Wednesdays” protests for years calling for justice for her brother. When the floor was opened, youth from Gilmor Homes in West Baltimore where Freddie Grey was killed testified to police abuses. So did many others. The testimony was all captured on video, which will become part of an ongoing record documenting police abuse in Baltimore. Lynae gave direct testimony and also a special tribute to Black women and girls and members of the lesbian, gay, bisexual, transgender and queer community who have been the victims of police terror. She called for major Baltimore protests on June 20 and 21 for #BlackWomenandGirlsLivesMatter. Steven Ceci, a Baltimore PPA volunteer, made a special announcement about the formation of a “Know Your Rights/Cop Watch” campaign for Baltimore. Some 70 people signed up to participate. Performing at the event were Pam Parker who sang and Leonora Knowles who led the assembly in song. She also opened the meeting with librations to ancestors. The second part of the plenary included activists who had traveled from across the region and the country to attend. Co-chairs were Los Angeles Workers Assembly members John Parker, who spearheaded a $15-an-hour-minimum-wage referendum, and filmmaker Rebecca Jackson, who was beaten badly by police. Jackson was instrumental in videotaping the event. Larry Holmes, a national PPA organizer from New York City, motivated the need for the movement to remain strong and go forward. He proposed national protests in every city on Aug. 8-9, the anniversary of the Ferguson, Mo., rebellion. A Detroit delegation called for freedom for wrongfully imprisoned Rev. Edward Pinkney, former president of the Benton Harbor/Twin City NAACP chapter. Dave Sole, from the Michigan Emergency Committee against War and Injustice, spoke about Pinkney’s case and also related the struggles against home foreclosures, water shutoffs and austerity in Detroit. Lamont Lilly, a Workers World Party organizer from North Carolina, spent weeks in Baltimore going door to door doing outreach. He documented events in the Baltimore uprising and connected police violence cases in North Carolina to those in Baltimore. Co-chairs of the last plenary session were Lilly, Witherspoon and Sharon Black, PPA organizer. Witherspoon reiterated the movement’s support for Black whose car was shot up after she appeared on the national Fox TV program of right-winger Sean Hannity on May 29. On the show, Black characterized the Baltimore Police Department as racist and called for community control of the police. This session formalized many proposals and key actions. These included pressing forward to continue the fight for justice for Freddie Grey and calling for the indictment, conviction and jailing of the police responsible for his murder and for those responsible for the many other police victims in Baltimore. 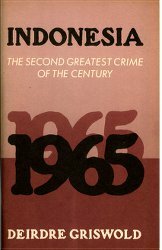 Another important proposal was pushing for amnesty for all youth facing charges from the uprising, including activists Larry Lomax and Allen Bullock, and attending Lomax’s upcoming trial. The assembly agreed to support the #BlackWomenandGirlsLivesMatter protests on June 20 and 21 and the PPA “Know Your Rights/Cop Watch” campaign. The gathering called for reparations from the state government for a comprehensive jobs program and for charter amendments for a $15 minimum wage and community control of police. And the body agreed to call for public destruction of guns and drugs confiscated by the police and for any money raised to be put back into the community. Everyone supported the call for freedom for Mumia Abu-Jamal, Leonard Peltier, Rev. Pinkney and all political prisoners. Finally, the full assembly issued a call to hold protests nationally on the Aug. 8-9 anniversary of the Ferguson rebellion.